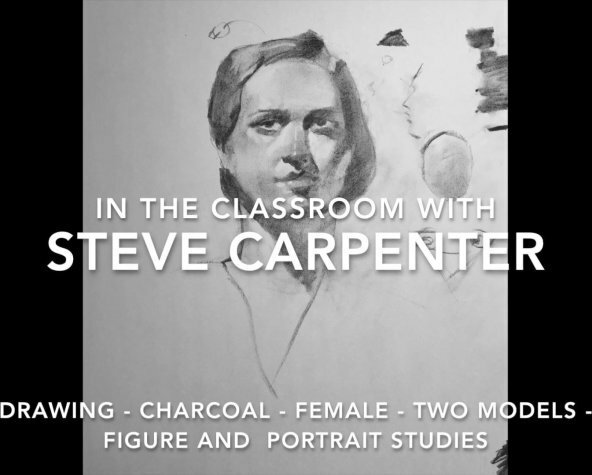 This demonstration by Steve Carpenter explores basic charcoal figure drawing and portraiture techniques. Three poses are combined to form a figurative abstract emphasizing how light and shadow work to create form. Other basic charcoal drawing techniques used to establish an interesting design are investigated. A single figure study reviews the basic steps for rendering the human form. Finally, a study in portraiture explores the basics of rendering the details and how light and shadow work to create form and dimension.